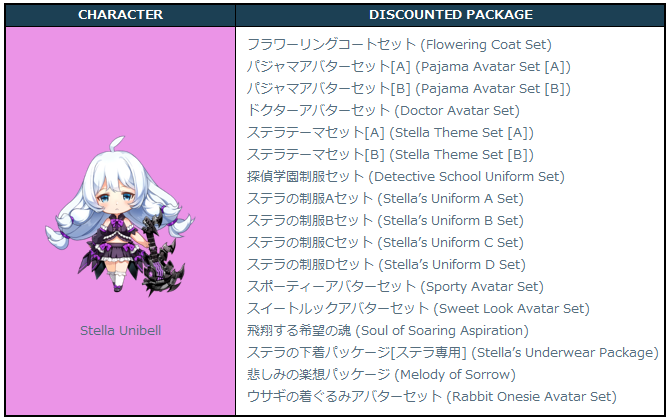 We adjusted some of 「Erwin Arclight」’s and 「Stella Unibell」’s skills. ・ The increase in evasion is reduced. We changed the max stack amount you can hold for some items. 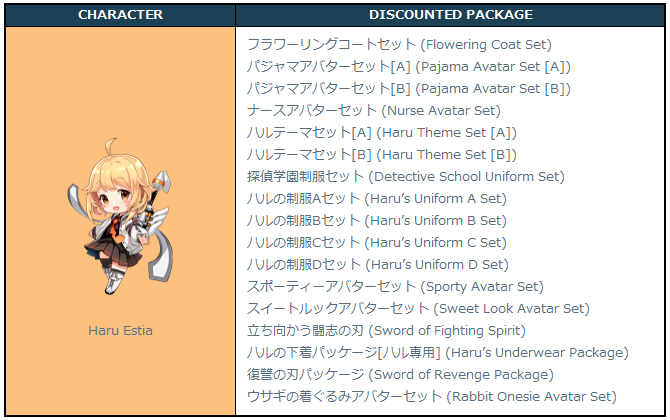 Note: Since it’s a pain to do, I will not be translating the items. We changed the order on how the items are sorted when using the Inventory and Bank Sort Feature. We changed the party buff conditions so that you can still receive some buffs when forming parties without the influence of the number of friends in the party. We changed the 「Minimum System Requirements」 and 「Recommended System Requirements」 given the previous updated contents. 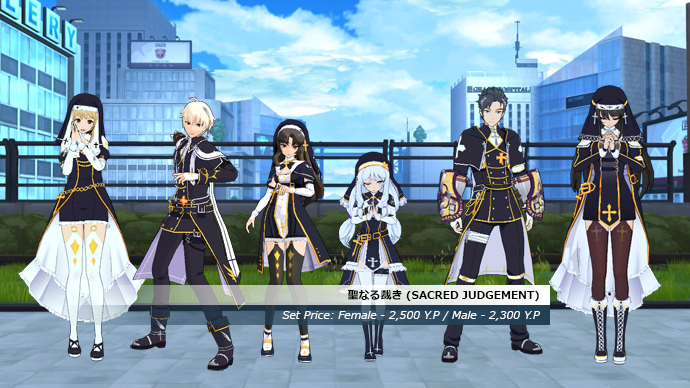 After the November 08 (Thursday) maintenance, the 「Sacred Judgement」 Series will be available for purchase for a limited-time. 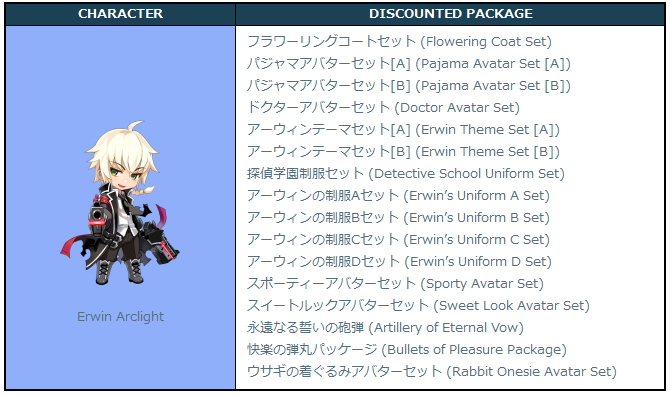 ※ The weapon avatars are obtained only through the sold package. 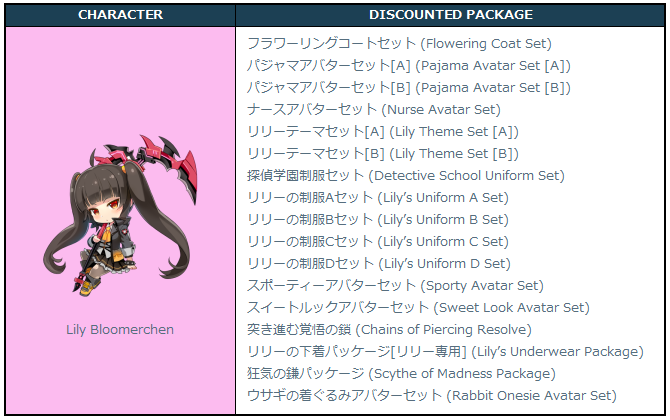 After the November 08 (Thursday) maintenance, some Avatar Packages will be sold at a discounted price for a limited-time. 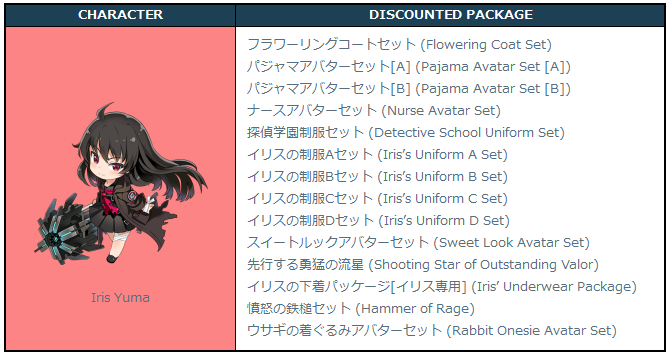 From 10% up to a max of 30% discount will be applied on the packages. After the November 08 (Thursday) maintenance, 「Nutrient」 and 「Preservative」 will be available for purchase at a discount for a limited-time. ・ Since the October 26 (Thursday) special maintenance, the behavior of the orbs that the AR Card 「Big Puppet」 summons are abnormal. ※ The behavior of the summoned orbs is abnormal until they are destroyed.